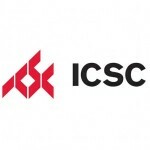 Marabella to Attend ICSC San Diego, September 2015! Marabella Commercial Finance will be attending the International Council of Shopping Centers Western Division Convention, at the San Diego Convention Center from Wednesday, September 16 to Friday, September 18, 2015. Chris Marabella and Shari Eckert will be passing out rate sheets and meeting clients near the CVS Booth. To setup an appointment time to meet at the ICSC in San Diego please coordinate with Chris Marabella by calling ahead of the convention at (760) 479-0800 or email Chris Marabella at nnn@marabellafinance.com. You can text Chris at the event at (760) 803- 6464. You can’t stop change in the Net Lease pharmacy market. Most recently CVS announced that it is purchasing Target’s in-store pharmacies for an impressive $1.9 Billion. Target has 1,660 in-store pharmacies within 47 states and roughly 80 clinic locations scattered across the U.S.. President and CEO of CVS Larry Merlo indicated “This strategic relationship with Target supports the highly complementary customer base, brand and culture we share”. For Walgreens there has been rumors as of late that they may purchase Rite Aid which would bring their store count to 13,000 stores from the current 8,333. The U.S. currently spends 18% of Gross Domestic Product (GDP) on healthcare. This is expected to surge. From this spending, almost half is already covered by State, Federal and Local Governments. Assuming healthcare spending continues to rise at historical rates, governmental expenditure on healthcare will hit 34% of GDP by 2040. As U.S. Life Expectancy increases health care spending is expected to rise, to pay for more healthcare products and services. The aging population will be the source of up to a quarter of this increase. Good news for sales in the sector. Sherwin Williams $1,000,000 20 Yrs. 7 Yrs. 4.375% Should Fund End of June, 2015. Verizon Wireless $1,000,000 20 Yrs. 7 Yrs. 4.375% Should Fund End of June, 2015. Mattress Firm $1,000,000 20 Yrs. 7 Yrs. 4.375% Should Fund End of July, 2015. Walgreens $1,600,000 25 Yrs. 7 Yrs. 4.00% Funded and Closed. 2 CVS Properties $5,750,000 30 Yrs. 10 Yrs. 4.00% Funded and Closed. PNC Bank $3,222,000 24.75 Full. 24.75 Yrs. 3.90% Funded and Closed.